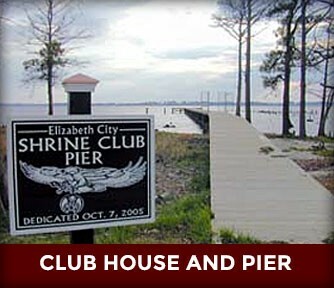 The Elizabeth City Shrine Club hosts a number of exciting events throughout the year! Some of these include our Shrimp Fest, Tractor Pull, Corn-hole Contest, Turkey Shoot, Venison Feast, and Mystery Dinner Theater; to name but a few! Please check out our Events Calendar to see when our next event is scheduled for! We will be having our Turkey Shoots November 12th, 19th, 26th and December 3rd and the 10th. As Shriners, we believe that there's nothing more rewarding than helping a child! Since the first Hospital was built in 1922 in Shreveport, LA, we have added 21 more hospitals throughout the US, Mexico, and Canada. These hospitals provide expertise in the treatment of burns, orthopedics, spinal cord injuries, cleft lip and palate. 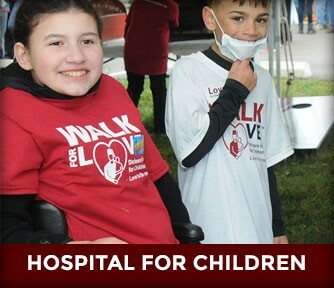 If either your own child or another that you know is in need of any of these treatments or services, we very strongly encourage you to either contact your local Shrine Club or to visit us by email at ShrinersHospitalsforChildren.org. 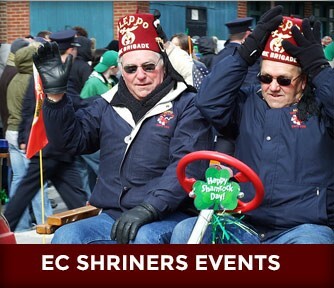 Our Club House provides a great place for our Shriners to congregate, build our brotherhood, and put on many events throughout the year. Elizabeth City "Harbor of Hospitality", has had a long history of shipping due to its location at a narrowed bend of the Pasquotank River. Founded in 1794, Elizabeth City prospered early on from the Dismal Swamp Canal as a mercantile city, before later shifting into a varied industrial and commercial focus. While Elizabeth City still retains its extensive waterfront property, it is linked to neighboring counties and cities by highways and bridges and serves as the site of the largest US Coast Guard base in the nation.